Niagara-on-the-Lake (NOTL) is one of my favourite weekend getaways from Toronto. It’s under a two hour drive, and filled with so many things to do that don’t break the bank, or involve to much pre-planning. This time of year especially, I’m always looking for things that can get me out of my house, and out of hibernation mode. It’s been non-stop extreme cold warnings and snowy messes in Toronto. All I really want to do is sit in and binge-watch Netflix in my pjs, BUT sometimes all you need to feel motivated again is a quick weekend getaway somewhere that helps you enjoy what winter has to offer. NOTL is often known as a summer destination. It’s filled with dozens of wineries to explore, and rows and rows of vines everywhere you turn. 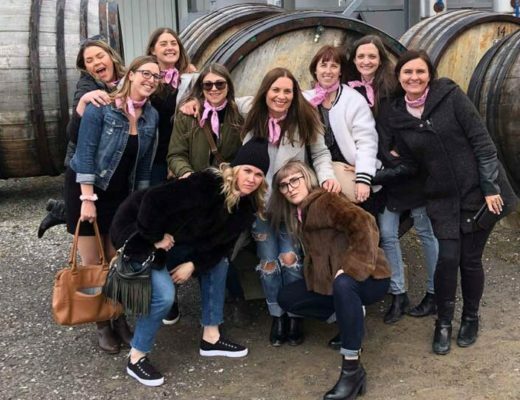 I love any wine destination, so you can see why it’s easy to love NOTL. However, I never thought to visit in the winter until recently, and now it may become my new fav winter destination. 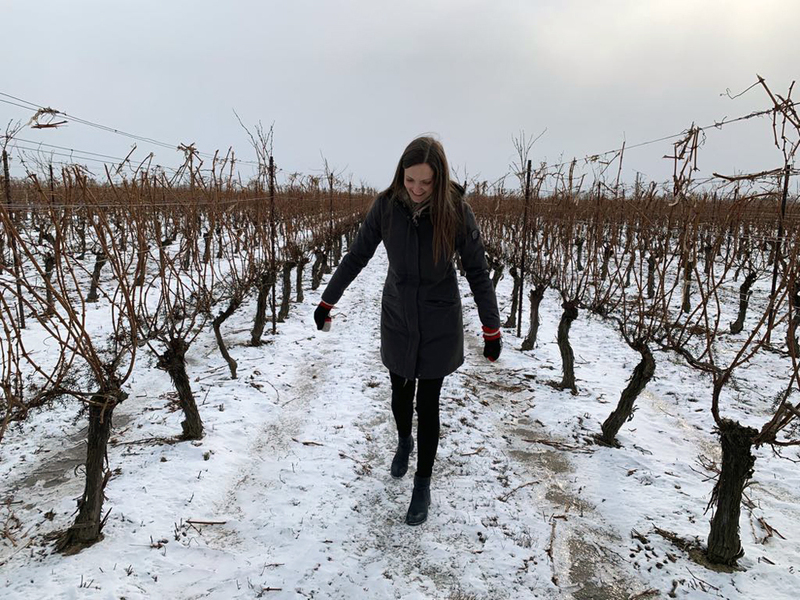 Each winter NOTL hosts the Icewine Festival where select wineries participate in the multi-weekend event with special food and drink offerings. 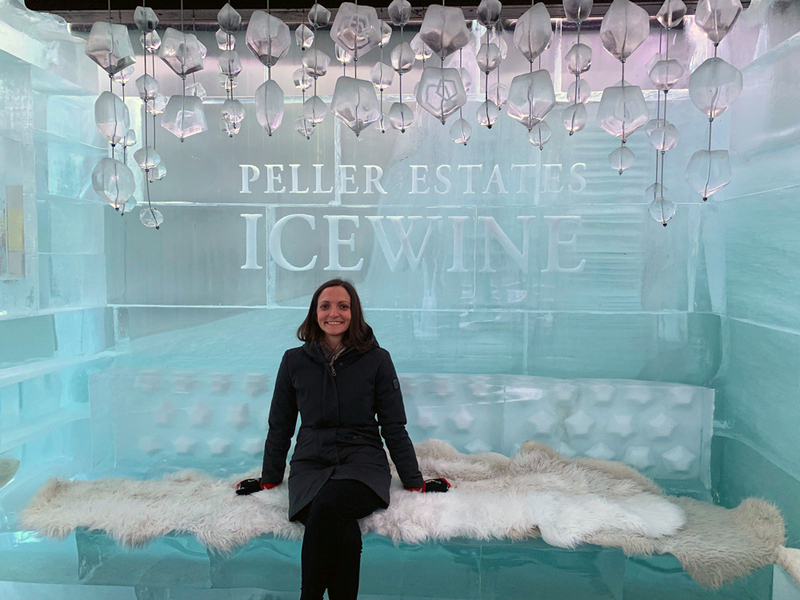 The Icewine Festival is what brought me to NOTL this past weekend, and it was so much fun to galavant around the wineries in the winter wonderland. 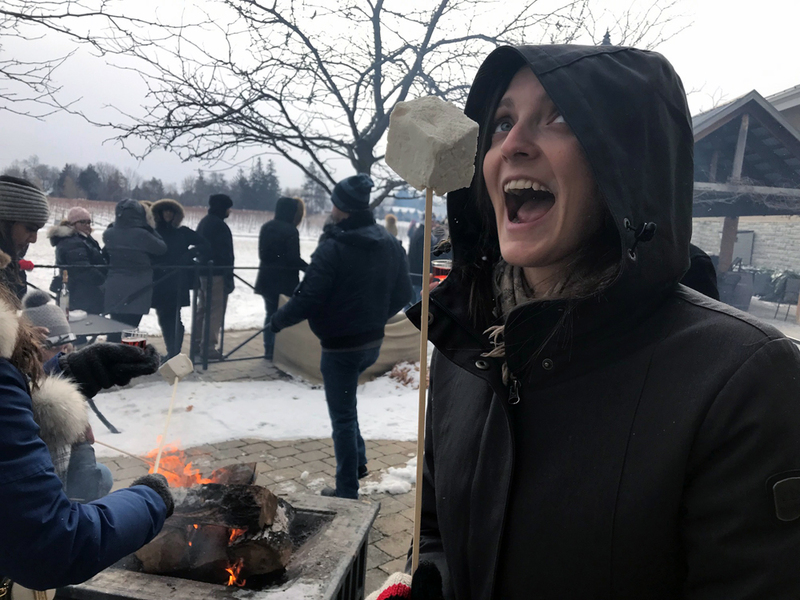 For only $45 you can buy a discovery pass for the festival each winter, and that includes eight food and wine pairings at your choice of over 40 wineries. Alternatively you can pay individually ($10 a sample) at each winery participating. I would highly recommend the festival if you end up in the area during January when it happens. 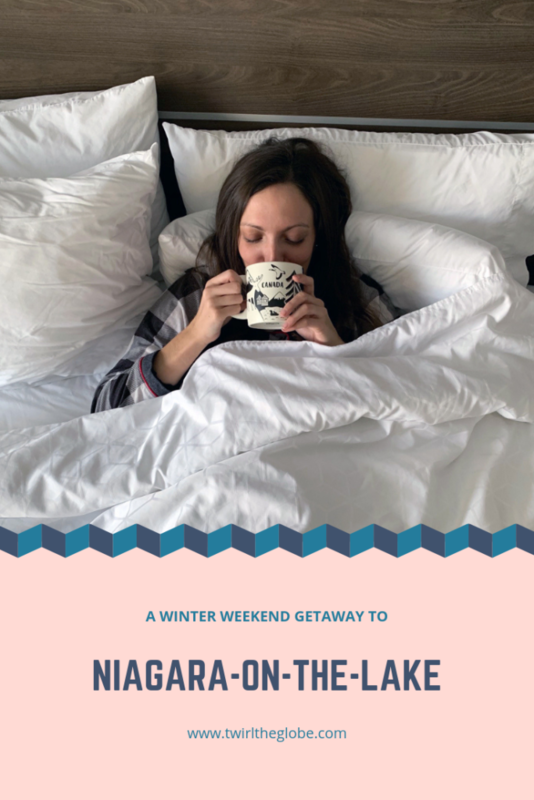 However, let’s talk a bit about a weekend getaway to NOTL and what else you can do in the winter time in the region. There are a ton of places to stay in NOTL varying in different price points and options. 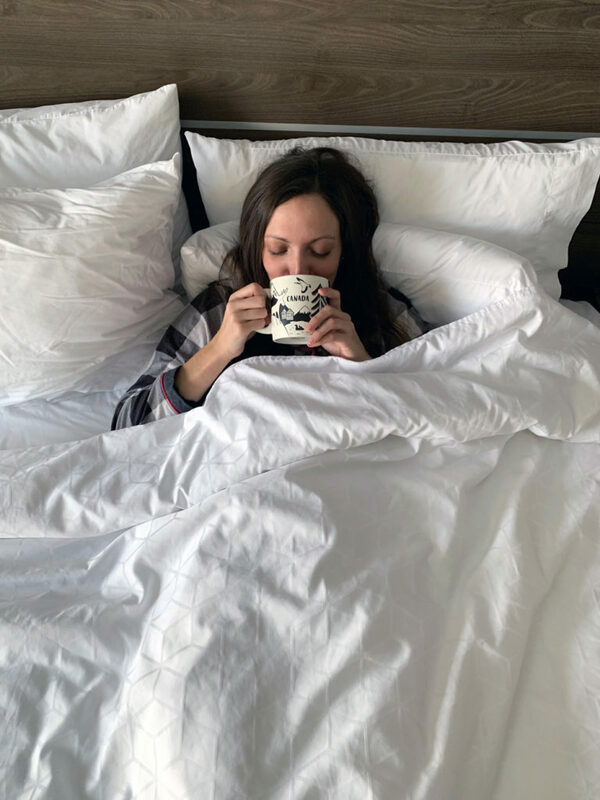 On my recent weekend we opted for the Holiday Inn Express on York Road because it was conveniently located, and also, I never have the opportunity to stay in a nice hotel, so it can really up your weekend getaway and allow for a bit of pampering. … and the list goes on. 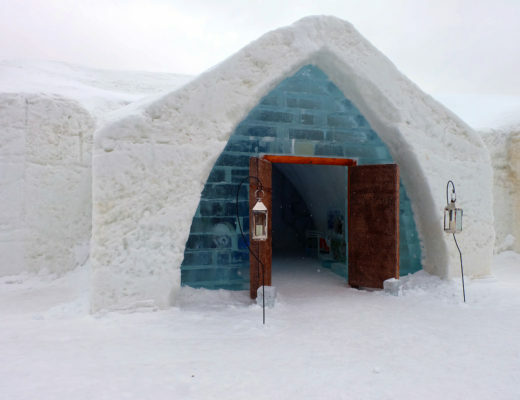 Rooms start at $104 a night and you can book one here. 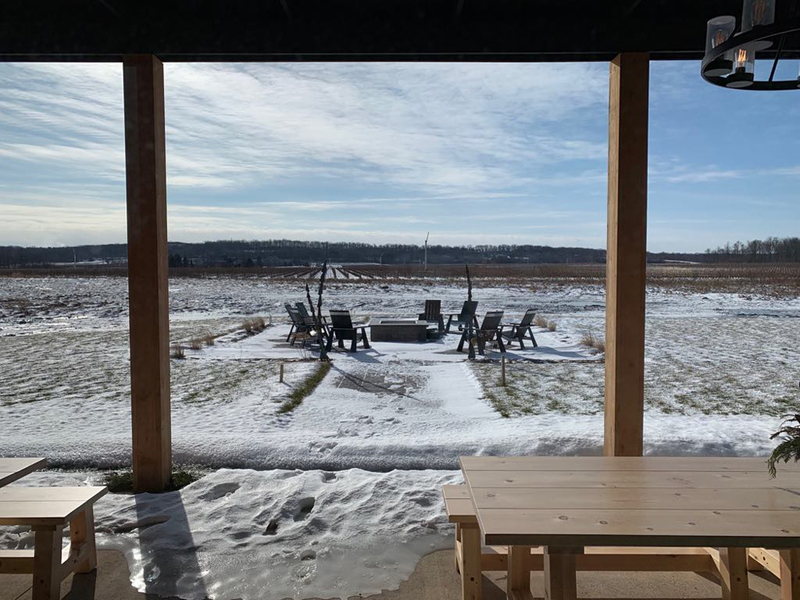 For a full list of wineries in NOTL, click here. Hit up the outlet mall that falls conveniently across the road from the Holiday Inn Express, Outlet Collection, to score some great deals from some of your favourite brands. Take the short drive over to Niagara Falls to check out the falls. If you’re lucky, they’ll be frozen over in the winter and you’ll be able to see them in a very unique wintery way. 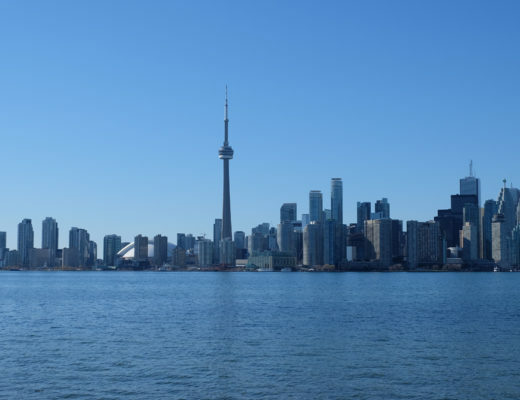 Visit downtown Niagara-on-the-Lake. It’s super cute, filled with locally owned shops, set inside historical buildings. Eat your way through the wineries. Lots of the wineries actually have restaurants as well. One that you can find close to Holiday Inn Express is Ravine which has a fantastic menu paired with their locally made wines. Visit Fort George Historic Site which was the scene of several battles during the War of 1812. Bring your snowshoes, build a snowman, or enjoy the outdoors in the historical site. 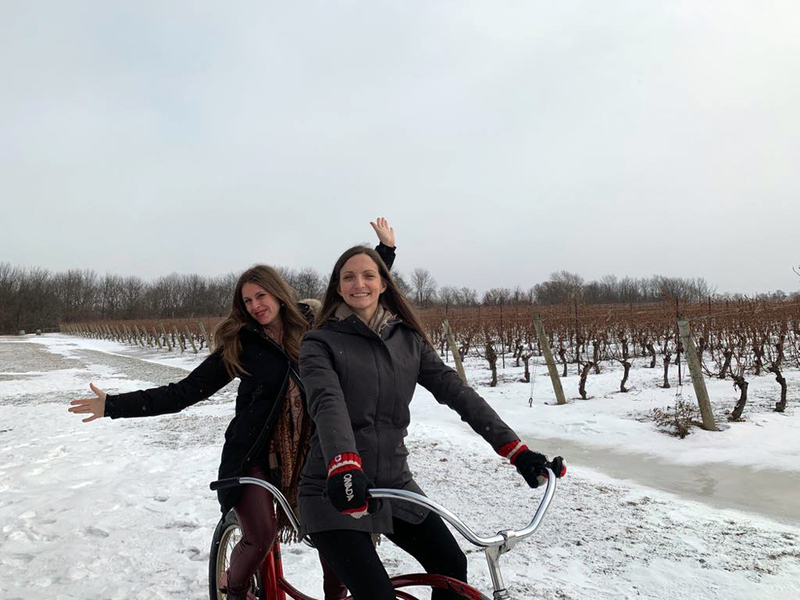 There is so much that Niagara-on-the-Lake has to offer, and it’s not just a summer destination, the area is filled with events like the Icewine festival and more during the winter months too. Plus, you can beat the summer crowds of tourists and bachelorette parties, and enjoy your wine in peace. What are your favourite things to do in the region? Share them in the comments! Pin the below photo to save this post for later! Disclaimer: My stay at the Holiday Inn Express was provided to me free of charge by IHG (International Hotel Group) to write a review on my experience, however I only write about things that I enjoyed and would recommend to others. All opinions in this piece are my own and 110% honest.